Onco’Zine relies heavily on in-person specialized coverage of scientific meetings and conferences. 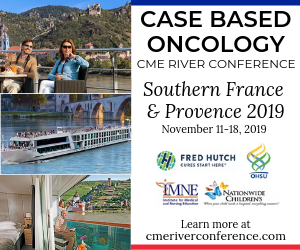 Correspondents throughout the United States, Canada and Europe supply first-hand reports and interviews with researchers, clinicians, and industry and government figures whose work and actions are changing the practice of oncology and hematology. As a Social Media based peer-to-peer/professional network Onco’Zine also welcomes contributions and discussions from healthcare professionals. The Oncology Directory, provides a comprehensive, member-driven resource to search, review, compare and connect with all of the key stakeholders involved in the development of novel cancer agents, cancer diagnostics and treatment of patients with cancer. ADC Review, Journal of Antibody-drug Conjugates (ISSN 2327-0152) launched in 2013, is designed to serve the needs of a diverse community of individuals including academia, life sciences, pharma, (basic, translational and clinical) research, clinicians/physicians, along with regulatory affairs, government authorities and representatives from payers, and policy makers. The Journal’s content includes peer reviewed research, commentaries, news features, discussions, editorials and blogs on topics relevant to a broad international readership. The Journal also offers a knowledge center (called ADC University) offering the latest and most relevant information about Antibody-drug Conjugates (ADCs), BiSpecific Antibodies, Site Specific Antibody Drug Conjugates, Small Molecule Drug Conjugates (SMDC), and Engineered Antibody Fragments. The purpose of the Journal is to present this information in an understandable and a useful format for all stakeholders. ADC Directory provides a seamless exchange of information between businesses and professionals focused on the research, development and manufacture of antibody-drug conjugates. Members have the opportunity to share reviews, articles, videos, events, products, career opportunities and more. 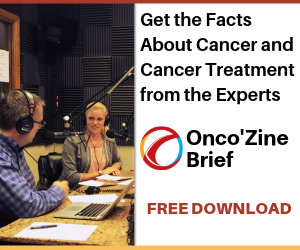 The OncoZine Brief on PRX (Public Radio Exchange) is an interview and discussion program covering a broad range of topics and timely news updates with information from all oncology disciplines and sub-specialties from around the world. The Onco’Zine Brief is a sponsor-supported, program for healthcare professionals involved in the management and care of cancer patients as well as cancer patients themselves and their family and friends. Produced for Sunvalley Communication by Peter Hofland, Eric Rosenthal, Shaun Mehr, David Caylor, Shelly Reynolds and Kourtney Balsan and hosted by Peter Hofland, the show invites scientists, researchers, medical experts, key opinion leaders, authors, caregivers, cancer patients and survivors to share the latest information about the new developments in the treatment of cancer. In addition to distribution via PRX, The Onco’Zine Brief is syndicated via iHeart Radio. 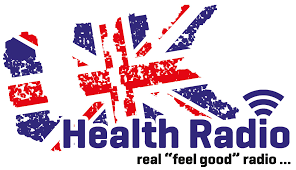 In the United Kingdom the program can be heard on UK Health Radio. 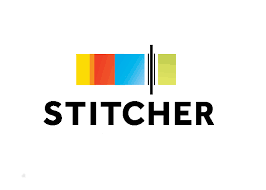 Finally, The Onco’Zine Brief is available as podcast via iTunes, Spreaker, Sticher and Google. 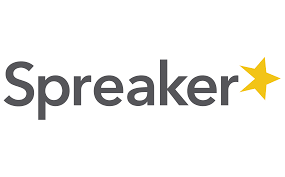 Click here for information about sponsoring or underwriting options. Onco’Zine is a National Cancer Institute content distribution partner. As a content distribution partner, this publication includes regularly updated NCI-produced content and information. Where applicable, the date of the last update is included on pages containing medical and/or health related information and pages containing general information. The information contained on this site is generally technical or scientific in nature and intended for Healthcare Professionals. If you are a patient and have questions about a particular disease or topic, please visit the information marked ‘patient information’ and ask your doctor for additional information how this information may apply to you. Furthermore, where applicable for general use, information provided on this site is meant to complement and not replace any advice or information from a Healthcare Professional. Onco’Zine, The International Oncology Network is run by InPress Media Group, LLC and Sunvalley Communication, LLC. The publication is, in part, funded by advertisement and sponsorships. Click here for more information about advertising and sponsorship. Onco’Zine – The International Oncology Network offers an unbiased editorial environment and does not included claims relating to the benefit or performance of a specific medical treatment, commercial product or service. Onco’Zine – The International Oncology Network is guided by the Executive Editor and an independent Advisory Board. We invite healthcare professionals (HCPs) to become registered members of Onco’Zine – The International Cancer Network. Our initiative aspires to engage healthcare providers, share news and developments and strengthen the international oncology and hematology community through an exchange of ideas and opinions among peers. Members will gain access to news, information and educational materials as they become available. These materials are intended to enhance understanding and knowledge base of the community. If you’re a healthcare professional (HCP), please take a moment to register. Registering for our website is free, easy, and should only take a few moments of your time. To begin, click here to register for the full edition of Onco’Zine on one of the links below. We are proud to be active and responsive on all major social networking platforms. Whether you’re looking for news, announcements, or information, you’ll find Onco’Zine – The International Oncology Network wherever you go. In this section you will find links to our Twitter, Blog, Facebook, and other social media accounts. We look forward to hearing from you. Copyright © 2001 – 2019 Sunvalley Communication, LLC. All rights reserved. Republication or redistribution of Sunvalley Communication content, including by framing or similar means, is expressly prohibited without the prior written consent of Sunvalley Communication. Sunvalley Communication shall not be liable for any errors or delays in the content, or for any actions taken in reliance thereon. Onco’Zine and Onco’Zine Brief are registered trademarks of Sunvalley Communication around the world.